Prime Minister Julia Gillard’s announcement of a $23 a tonne tax on carbon for three years will not achieve its stated aim of reducing carbon emissions and helping to overcome the threat to humanity and the planet from global warming. The federal government suggests that increasing the price of using fossil fuels will create incentives to develop and use technologies that reduce carbon emissions, including fuel-efficient cars and renewable energy sources. Taxing carbon will make individuals take into account the price of using fossil fuels in their personal decisions, including the cars they buy, the government says. However, the carbon tax cannot ensure the adoption of less polluting technology by corporations or reduced energy consumption and so it cannot reduce carbon emissions and benefit the environment. A limited number (0.02 per cent) of corporations will have to pay the tax on their carbon emissions. They will simply raise their prices and pass this increase on to the community who will pay more for fuel, power, and other goods. They won’t work to transition to renewable sources because it is quicker, easier and cheaper to accept the tax and pass the cost on to consumers. Without alternative energy sources, especially without a substitute for coal, companies are going to continue to emit carbon dioxide and pay the carbon tax. The government will get a lot of tax revenue but no reduction in carbon dioxide emissions. The claimed benefit of the carbon tax depends on the response to the new pricing system. While the price of electricity goes up, many ordinary families will have more money in their pockets. They can choose to spend this on the same electricity consumption as before. They are not likely to have enough money to spare to invest in efficient equipment, solar panels and so forth so that they use less energy. Price has a limited impact on behaviour if alternatives are not available or affordable. Petrol price rises did drive some people onto public transport but this was severely restricted by a lack of investment in public transport. In some places there were simply no bus or train services or they were inadequate for the demand. Many people just had to put up with paying higher prices for fuel to get to work. The Labor government’s carbon tax proposals include a plan to move to an emissions trading scheme in 2015. This is unacceptable. 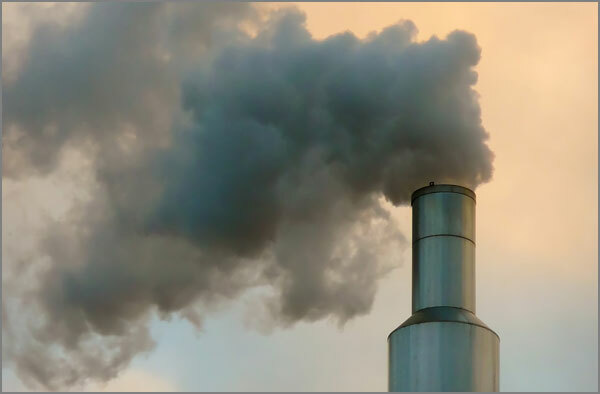 Emission trading schemes in essence give companies the right to pollute, even though the exact amount of pollution may be limited by a government-imposed cap. They provide pay to pollute licences and are a cop-out for governments not prepared to tackle the issue of greenhouse gas reduction. They are a “leave it to the markets” approach, but the markets have failed badly. The corporate sector will pass on the additional costs and go on polluting as before. Emission trading schemes encourage trading in carbon credits, derivatives and other forms of financial speculation, to the detriment of society and the environment. They have been described as the neo-liberal takeover of the environmental agenda. The key question is should the polluters pay a tax or should they be stopped from polluting? Can we solve environmental problems by market mechanisms or do we need state intervention and regulation? The government sees the reduction of greenhouse gas production in Australia as a balancing act, where the impact on corporate profits is counter-posed to measures to save the planet – short-term economic outcomes are seen as paramount. But Australia must achieve drastic reductions in greenhouse gas emissions in a short time. The impact of global warming is too great to allow much delay. The carbon tax is an intervention into the “free market” by government but it still seeks to alter behaviour through the market rather than through regulation. Yet regulation is hardly unusual in our society. DDT was banned because of its effects on humans and the environment. Asbestos is banned because it kills people. Building regulations are accepted, including new green building codes. CFCs and other ozone depleting substances were banned in a move which saw sovereign states work together to address a global environmental problem. Why should companies be allowed to pay a tax and continue to destroy the planet? The struggle for sustainable development is really a struggle to restrain and restrict capitalist corporations, to compel an end to environmentally damaging production processes. Fundamental change is needed to meet the global environmental threats. Fundamental change means economic change, and a new politics built on the new economic base. All humanity is not making the decisions and guiding the operations that are devastating nature and undermining our future. It is the big corporations that are doing so in pursuit of profits. The question is, who will make those choices, and how? Will working people be the victims of change or will we control that change for the benefit of ourselves and our children? Destruction of the environment is a crime which threatens humanity. Governments must legislate to protect the environment, with stringent fines and jail sentences for transgressors, and to compel companies to cease or change environmentally damaging production processes. Companies which pollute or otherwise damage the environment should compensate the victims and pay the full cost of cleaning up the damage they have caused. Corporations should also be subject to massive fines and/or jail sentences for breaches of environmental protection laws. In addition, companies should be forced to install pollution controls and environmentally safe technology and be prohibited from passing on the cost of these measures to the consumers through higher prices. All this is not an impossible dream. In Germany, for example, new laws gave companies 12 months to transition to recyclable packaging for their products. Public ownership and economic planning provide the only rational basis on which Australia could develop and utilise its energy resources sustainably in tandem with a public transport policy, enabling carbon emissions cuts and a swift move towards a zero carbon economy. Nationalisation of all major mining, power generation and water resources would redirect investment away from polluting industries and rebuild Australian industry for a sustainable future. Instead of profits going offshore, they could be used to finance new clean industries with technologies that already exist. The maximum participation of workers, unions and community is needed for a transition in industry and jobs to succeed. Decent work and job creation are central to sustainable development because workers and workplaces are at the centre of production and consumption in society and have a key place in transforming production at all levels. Changes necessary for more sustainable production would require more workers, not fewer. Some of the “technologically advanced” but environmentally destructive methods in both mining and logging have been developed specifically because they use fewer workers. The Australian Conservation Foundation and the Australian Council of Trade Unions 2008 report, Green Gold Rush, estimates that more than 800,000 new green jobs can be created in 15 years. The working class must be involved in the struggle to save the planet from environmental catastrophe. Workers must be confident that protecting the environment is in their interest and the interest of their children and future generations. Workers must not be worse off as a result of environmental protection measures. Workers whose jobs are at risk from measures to protect the environment must be offered employment in environmentally friendly occupations and new green industries without loss of wages or any conditions and with full involvement of workers and their unions. The Zero Carbon Australia 2020 plan* shows a transition to 100 per cent renewable energy in Australia. Using only commercially available technology, the plan would cost around $37 billion a year. If the government can spend $45 billion on the national broadband network it can spend $37 billion a year to avert a potential environmental and human catastrophe. Government funded the construction of coal-fired power stations in Australia through a combination of taxation and borrowing. It could do it again for renewable energy. It would cost $4 billion to build four integrated solar power stations in NSW. The project would generate about 4,000 jobs in construction and about 2,000 in operation and maintenance. Labor is reducing corporate tax from 30 per cent to 29 per cent, which will cost $2 billion a year from 2013. The defence budget could be cut by ten per cent. Australia spent $26 billion on defence last year. $4 billion is two months military spending. Conversion to a more sustainable economy will bring a healthier economy as well as a healthier environment, but a carbon tax is not the way to do it.